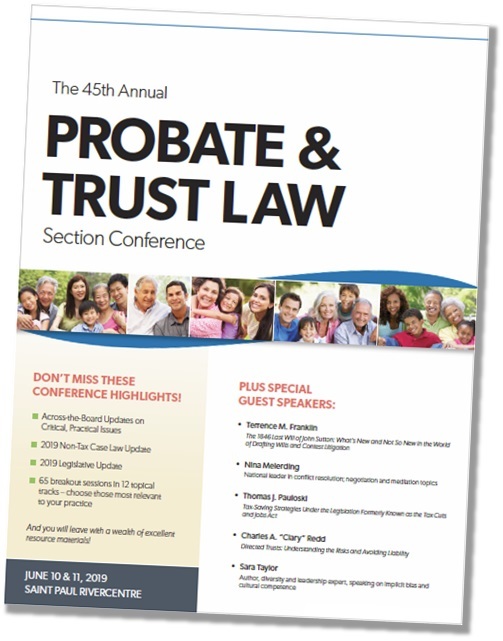 Your-2019-Probate-and-Trust-Law-Section-Conference-brochure---delivered - Benchmark Community Your 2019 Probate and Trust Law Section Conference brochure...delivered! Your 2019 Probate and Trust Law Section Conference brochure...delivered! 2019 Probate and Trust Law Section Conference brochure!